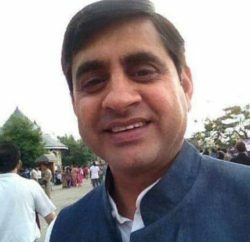 Shimla: Urban Development Minister Sudhir Sharma disclosed here today that the Union Ministry of Urban Development has sanctioned 12 water supply and road schemes for the State under UIDSSMT Scheme amounting to Rs. 280.15 crore. He said that Rs. 111.98 crore have also been released as first installment to the State for implementation of these schemes. Minister said that the sanctioned schemes includes Rs. 29.74 crore WWS Scheme for Dharamsala town, Rs.20.95 crore for various roads in Dharamsala town, Rs. 4.75 crore for various roads in Rewalsar town, Rs. 19.14 crore Water Supply Scheme for Rampur town, Rs. 11.01 crore Water Supply Scheme for Nagrota town, Rs. 17.43 crore Water Supply Scheme for Kangra town, Rs. 82.18 crore Water Supply Scheme for Mandi town, Rs. 15.04 Water Supply Scheme for Manali town, Rs.22.74 crore Water Supply Scheme for Kullu town, Rs. 7.47 crore for Water Supply Scheme for Parwanoo town, Rs. 16.36 crore Sewerage Scheme for Nalagarh town and Rs. 33.34 crore for sewerage Scheme for Baddi town. The Union Ministry has released Rs. 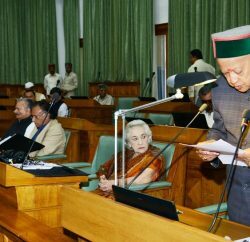 11.90 crore for WSS Scheme for Dharamsala town, Rs. 8.38 crore for various roads in Dharamsala town, Rs. 1.90 crore for various roads in Rewalsar town, Rs. 7.65 crore for Water Supply Scheme for Rampur town, Rs. 4.40 crore for Water Supply Scheme for Nagrorta town, Rs. 6.97 crore for Water Supply Scheme for Kangra town, Rs. 32.87 crore for Water Supply Scheme for Mandi town, Rs. 6.02 crore for Water Supply Scheme for Manali town, Rs. 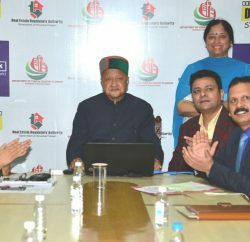 9.09 crore for Water Supply Scheme for Kullu town, Rs. 2.91 crore for Water Supply Scheme for Parwanoo town, Rs. 6.55 crore for Sewerage Scheme for Nalagarh town and Rs. 13.34 crore for Sewerage Scheme for Baddi town as first installment. Sudhir Sharma has thanked the Union Minister of Urban Development for approving these schemes for the State and releasing first installment of Rs. 111.98 crore. He added that these schemes would go a long way in catering to the needs of drinking water in various towns of the State.